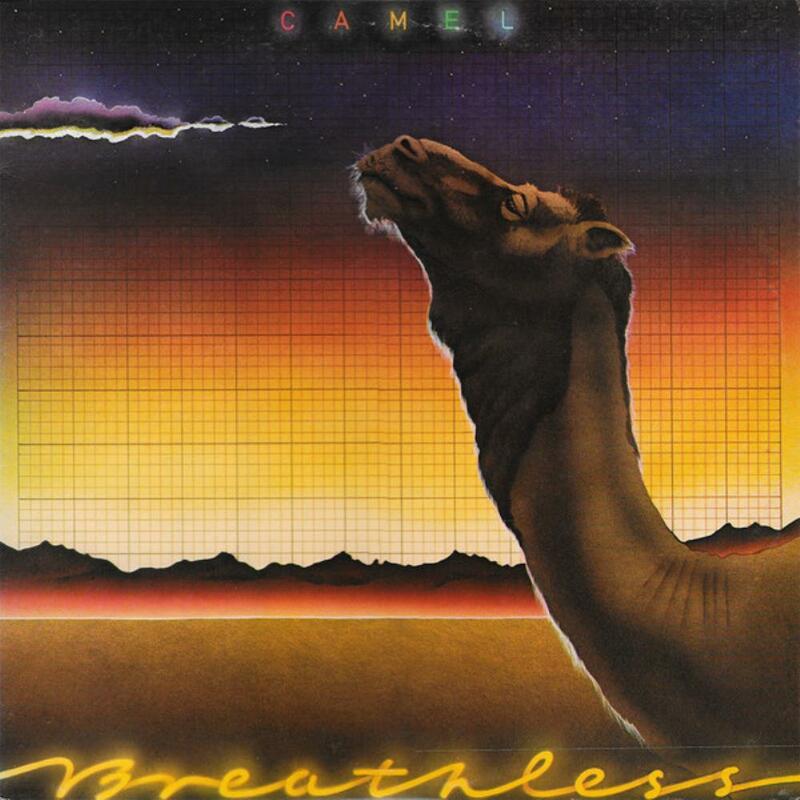 Camel's sixth studio album saw the quartet of Latimer, Bardens, Ward and Sinclair (with reed player Mel Collins a semi-permanent member) continue the group's evolution towards a more modern commercial sound. Made under strange circumstances, with Bardens having decided on his departure before recording commenced, it's a more consistent statement of the "new" Camel than its predecessor Rain Dances, and actually emerges as one of the strongest albums the group ever made. Despite the move towards commercialism, this album contains some truly outstanding slices of melodic progressive pop. The lead off track Breathless for example, has one of the most beautiful melodies I've ever heard a prog band compose. In addition Collins' flute touches are simply glorious and Latimer's clean playing is a joy to behold. It's a song that doesn't go too many places yet is something I can listen to a dozen times in a row. Other quality tracks include Wing And A Prayer, another really nice "pop" and Sinclair's Down On The Farm which is a real curiousity as its mock hard rock intro turns into one of the finest slices of Canterbury prog you'll ever hear (even if it isn't from a Canterbury band!) Try listening to this and see if you feel like putting on your boots and joining Betty the Barmaid down on the farm ... I certainly did! Perhaps the ultimate highlight of the new concise Camel style is Starlight Ride, a delicate dreamy piece with a lovely melody, and quasi-Baroque playing by Latimer, Bardens and Collins that could make a grown man cry. It's a real gem of a song. Of course it wouldn't be classic Camel without a prog epic, and Echoes is a real throwback to the glory days of Mirage. If anything, the band's playing is now more confident, and Latimer in particular delivers some of his strongest playing in ages. When Bardens comes in halfway through this seven minute cut, it's like a brilliant last hurrah. I'm not sure if the vocal melodies match up to the standards of the rest of the song but it's still unforgettable. Unfortunately the album runs out of steam towards the end. I suppose the disco-prog of Summer Lightning is a failed experiment that someone had to make (but did it have to be Camel?). Latimer turns in some more delectable playing, but it's hard to get past the disco beat that goes on for six minutes! You Make Me Smile is another one ... it's basically a really lousy song until Bardens gets his foot in the door with some great playing and then after his solo it turns back into rubbish ... Another dud is the seven minute instrumental The Sleeper which wastes an interesting intro by turning into a boring jazz-fusion exercise. These songs offer ample evidence that Bardens and Latimer pulling in different directions could really hurt Camel. Thankfully, Camel don't let this album end on a sour note and its closer Rainbow's End is a return to the wistful melancholy we've come to expect from the lads. With a lush, unforgettable chorus that belies the sparse arrangement built around Bardens' keyboards, it's a poignant farewell to a marriage that couldn't last.